"The local population is getting older and we are seeing more and more people living with terminal illnesses and complex needs," she said. "Not only is this resulting in greater numbers of hospital admissions, it is also putting massive additional pressure on community care, which is vital in helping the safe and prompt discharge of patients back home." Louise Marshall's mother, Maureen Patrick, died from cancer in February 2018. The 59-year-old was cared for at home during her final days. "She always said before she went into hospital that she wanted to make sure she was home, to have her family around her in her last days," she said. "It definitely is a help - we know we fulfilled my mum's last wishes, she died not afraid and we all got to kiss her and say goodbye," she said. 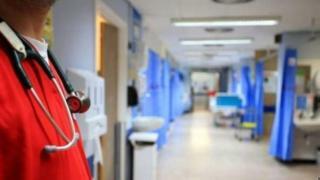 Joan McEwan said the lack of an assembly and executive had "stymied" HSC transformation. 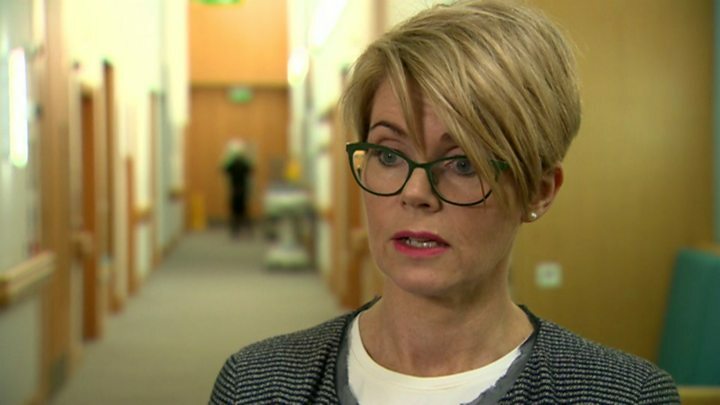 In a statement on behalf of the health and social care system, a spokesperson said: "Growing numbers of people are living longer with complex needs and this is why the reform of adult care and support project has been tasked with identifying and implementing necessary reforms to enhance the support available in communities. "There is also a very strong commitment to ensuring that any patient in the end stages of life is treated with absolute care and compassion. "Trusts do their utmost to support and prioritise the wishes of patients at the end of life and their families, including facilitating their return to a home or a community setting where it is appropriate to do so. "The Palliative Care in Partnership initiative in Northern Ireland brings together statutory and community and voluntary sector providers, including Mare Curie, and also service users and carers to improve how patients with palliative care needs are identified and supported, and also seeks to enhance the range of services available."